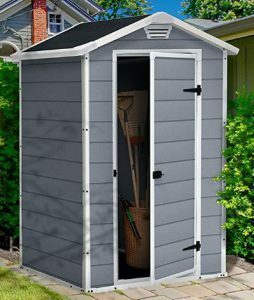 Manor’s small outdoor storage sheds present a modishly compact storehouse that merely requires the occasional carefree pressure-wash to revive appearances, saving loads of time where upkeep’s concerned. A few years back, we decided to make the switch from wood to resin to escape continuous maintenance hassles. Further down the road, we’re delighted with the time-saved. A quick pressure-hose down restores the pristineness in minutes. Designed to serve confined spaces suchlike a small backyard, an urban balcony or the ginnel between a house & fence, the pretty stance makes the Manor ideal to store small amounts of patio & garden essentials alongside lengthy gardening tools. 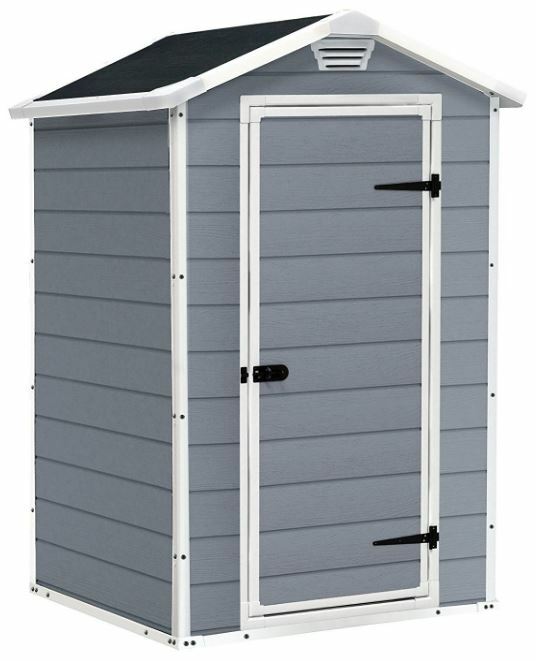 Keter’s smallest walk-in shed boasts low-maintenance at a competitive price, the reasons Manor’s charmingly modish sentry box presentation soon became a well favoured choice where space is rather restricted. The Manor range includes this mini 4 x 3 ft, a unit comprising the same width extending 6 ft deep whereas the 6 x 5 ft facility provides broader double door access along with a 5 ft depth as represented in the Prices section. 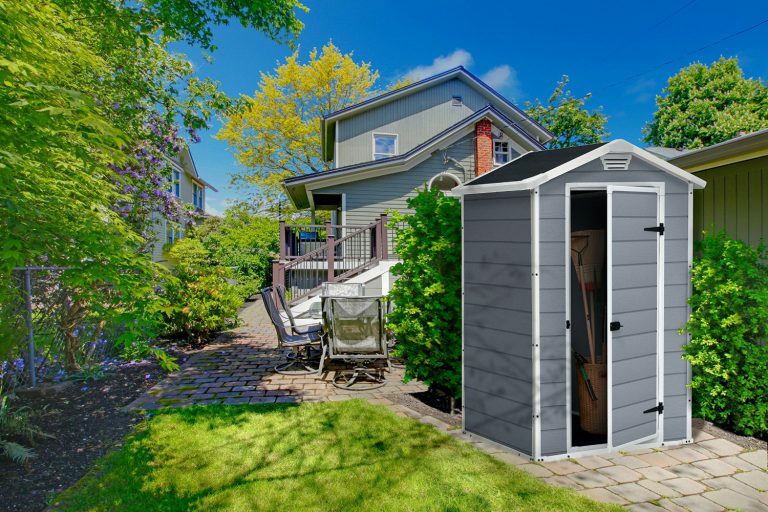 Shed Ranges: displays Manor’s weather-resistant storehouse competition. Bluish-grey tones exhibit pleasant eye-appeal to garden areas whereas weather-resistance dodges laborious maintenance. 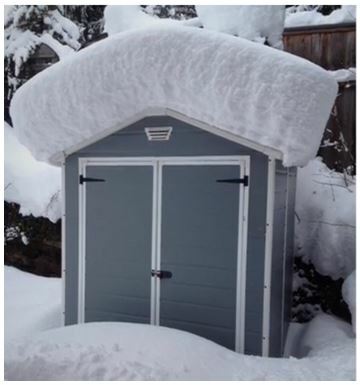 Although these chunky walls don’t have the same muscular stability as heavy-duty sheds, 4 x 3 feet dimensions don’t warrant it; Manor’s dainty appearance robustly accommodates as much snowfall per sq feet on top. Okay, we’re not talking about a capacious unit able to store a substantial amount of gear but this 4 x 3 footer is tall enough to organise long handled gardening tools alongside sheltering patio accessories & BBQ paraphernalia. The 4 ft width spans across the door whilst the depth stretches 3 feet. Many people do get this the wrong way round prior to purchase. Due to the small size, one door delivers access, obviously no windows are present however built-in ventilation is, distributing fresh air to the internals. 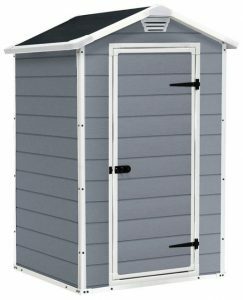 Supremely durable is Keter’s description, virtue of the polypropylene manufacture meanwhile feedback for this 4 by 3 comes across extremely favourable, much better than Keter’s larger Manor sheds. It’s a sturdy, inexpensive, weatherproof compact unit. 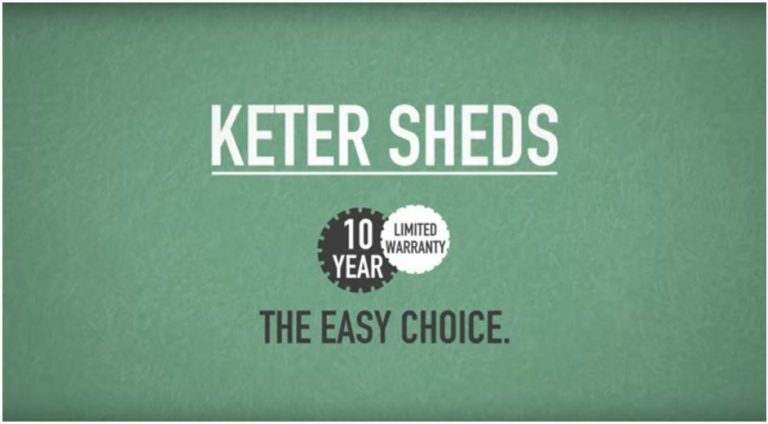 If desires are for more storage space at a fair price, I would consider Keter’s Factor range of sheds. Manor’s elegant fascia is made-up from recyclable polypropylene to ascertain environmental friendliness, free from corrosion & rot resistance meanwhile the colour pigments radiate the charming attraction of subtle bluish-grey tones. The artistic creation of embossed wood-grain is simulated through innovative molding techniques meanwhile protecting Manor’s bonny fascia from bleaching is courtesy of stabilising the resin with UV protection in order to combat the affliction of sunburn stresses. This model is also available in white, I’ll point to that direction in the prices section when available. This blue-grey shade presently appears to be the favourite. Manufactured from chunky walled polypropylene constructs with adequate sturdiness & stability for a shed spanning 4 x 3 ft dimensions meanwhile endures all weather climates irrespective to suffering persistent showers, damp or humidity. Polypropylene is not susceptible to rot nor weather-depreciation setting in. Described as supremely durable, Manor’s low-maintenance merely comprises a sporadic pressure-wash or equivalent to freshen appearances once the grime takes hold, a few minutes operation to say the least. Manor’s apex design immediately drains rainwater away therefore puddling never becomes an issue meantime the slight roof overlap stops leaks occurring inside on account of the wall panels connecting underneath. The resin sheets structuring this 4×3 apex constitute an impermeable polypropylene manufacture for long-term resistance to weather depreciation. Upholding weather defence against the demise of rot, polypropylene continues-on ever-enduring; a sharp contrast to roofing felt’s disintegration issues, unable to survive the weather elements. Keter trumpets out the values of how sturdy and durable this facility protects against heavy snowfall meantime the 4 x 3 ft roof span doesn’t necessitate steel beam reinforcements to deliver substantial sturdiness on top. 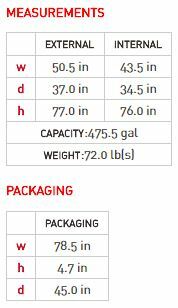 The shed’s size expands 4 feet across the door width & 3 feet deep, however, internally it is smaller, therefore, check the measurements below to verify whether these dimensions serve requirements. Although small, storage options can be extended by installing a bank of free-standing shelves, an option we embarked upon which is a preferred method for many plastic shed owners as screwing into the walls to install shelving is rarely catered for however this method creates storage space towards the ceiling. The integral floor interlocks with the walls to enclose the Manor & prevent the outer environment blowing debris inside meanwhile toughening compound strengthens the make-up to endure heavy-duty storage stresses if the floor’s laid upon a solid substrate. Grounding the shed with anchor screws is advised meanwhile the floor’s resin design subsists heat & cold stresses therefore no matter whether the shed’s stood in wet or sweltering heat, rot & depreciation will never be a concern. Air vents generate fresh air to overcome the progression of saturation & sweaty atmospheres meanwhile on account of the small construction and the fact that it’s not really designed for walking around inside, no windows nor skylights enter daylight. A single door provides the entryway whereby metal hinges function the swing. The make-up is identical to the fascia’s polypropylene manufacture to assure durability. A sliding through-bolt lock enables closure whilst the design caters for slotting through a padlock, providing deterrent. The No.1. priority rule is to prepare solid level foundations for stationing the Manor. Levelled wood-decking and paving or materials such as concrete, asphalt or tarmac deliver the required substrate. Obeying with levelling results in straightforward panel alignment during construction meanwhile ascertains the plumb door-architrave functions precise door swings. A solid base ensures the floor copes with strenuous storage pressures further to providing rigidity when driving down anchor bolts and attaining a firm fix. A small amenity such as this will take 2 people approximately 3 hours to construct, albeit we all go at different speeds. A power screwdriver saves considerable time meanwhile assembling entails implementing the demonstrated procedure stepped out in Manor’s instructions. Competition is becoming increasingly fierce for weatherproof shed manufacturers which is great news for our concerns, ditching upkeep duties for the hassle-free low-maintenance of resin. Manor’s 4 x 3 ft storehouse receives encouraging feedback for size compared with manufacture & cost. Okay, it’s not super strong but these dimensions don’t warrant any additional reinforcements, the build adequately provides weather protection for storage. Exhibiting a charming modish presentation, the tall interior accommodates long handled gardening tools along with a variety of smallish storage meanwhile it’s mini dimensions locate where outside space is relatively restricted. Couple the budget price, weather-resistance & 10 years of Manor warranty cover, there’s no surprise regarding the popularity. 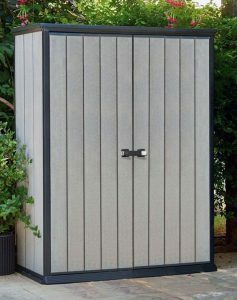 Hope Manor’s sentry box design spurs inspiration for your small shed ideas. Share you preferred small storehouse design below along with an Manor queries. Pleasure to help. 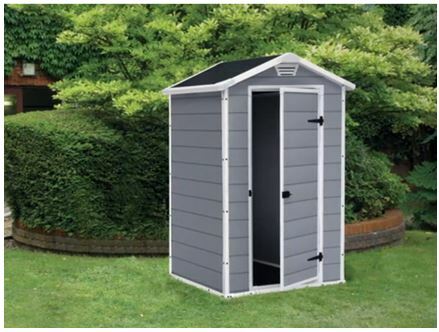 Please share Manor’s 4 x 3 ft shed. Thank you. This Manor small outdoor storage shed looks ideal to me. It’s difficult to find a small storage solution that’s also very durable and weather-resistant. What a bummer that it’s not currently available in the US. 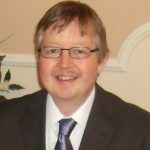 Do you know if there are any plans to expand the availability? If not, can you recommend a similar option that might be available in the States? Thanks for your help! 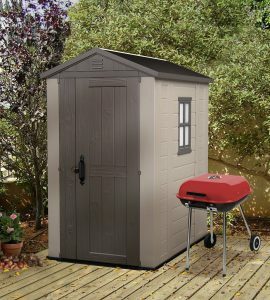 Hi Linda, thanks for reading about the benefits relating to Manor’s small outdoor storage sheds. A 4 x 3 footprint with a decent height in weatherproof material is rather difficult to find where storehouses are concerned. 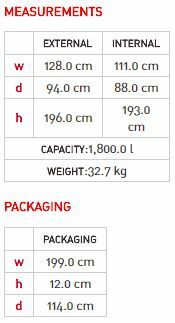 Most manufacturers concentrate designing more spacious accommodation which is of no use if requirements necessitate smaller dimensions to fit a particular restricted zone. Manor’s make-up comprises a lightweight double skinned body which adequately connects together sturdy enough for a unit spreading these mini dimensions meanwhile puts an end to annual conserving due to imperishable polypropylene never requiring preservative re-coats of paint nor varnish. Instead, a quick hose down swiftly refreshes Manor’s presentation. This 4 x 3 ft Manor has been for sale in the USA, and may appear again as this smallest size receives much better feedback than the larger Manor sheds. 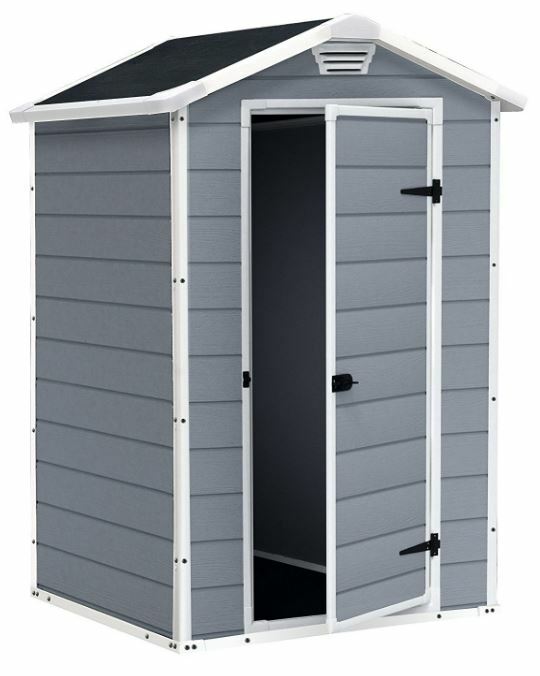 Competing with the Manor, Shed Sizes displays weather-resistant sheds stepped up in size order to which this website has so far reviewed, hopefully you’ll find an alternative & one that’s available in the States. Factor sheds are the nearest competing sheds in my view. This is the kind of Storage Shed that I want. I have so much things that I need to organize. I want to have something like this where I can put my mower and some of my garden tools. It would free some space in my garage by using this. I would like to have one but I guess it quiet expensive. Do they have some other option at lower price? Thanks for sharing. Yeah, this is an ideal solution for where space is tight as this fill fit on all backyards, patios and small gardens, against a wall or in between a house and fence due to its small structure. Ok, it won’t hold a mass amount of storage but that’s not what this is designed for however it will keep those outdoor accessories outside and protected due to the resin manufacture the facade in constructed from. 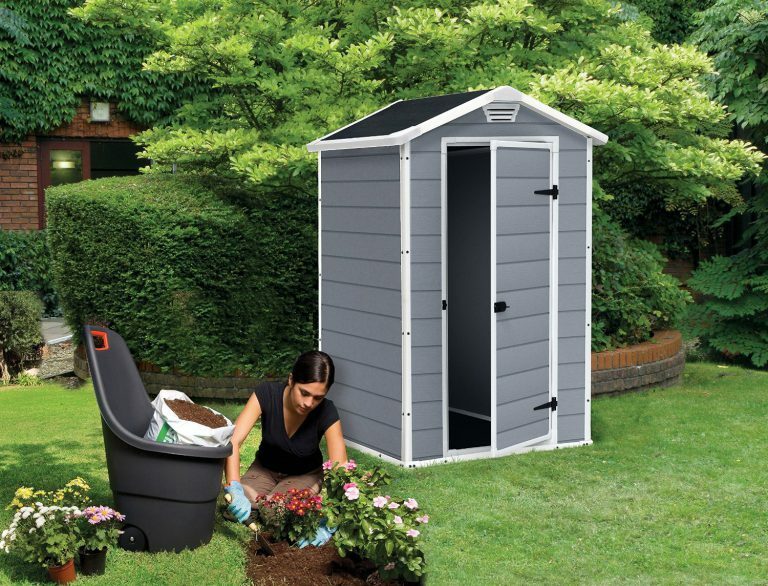 You can’t beat inserting screenshots of a product and a video to show a plastic shed to it’s full potential. 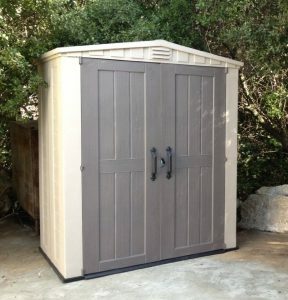 I’m happy to hear that your resin shed is working as described here. Hello simon. These little sheds intrigue me. I’m happy to hear they are recyclable plastic. I guess you have to weigh up the value of the items stored and whether they are worth a plastic shed or a more secure metal shed. How strong are these plastic walls? Can they be cut with a sharp implement? Yes polypropylene resin is 100% recyclable and designed with non fading and non cracking credentials too. All Keter products are as green as they come. 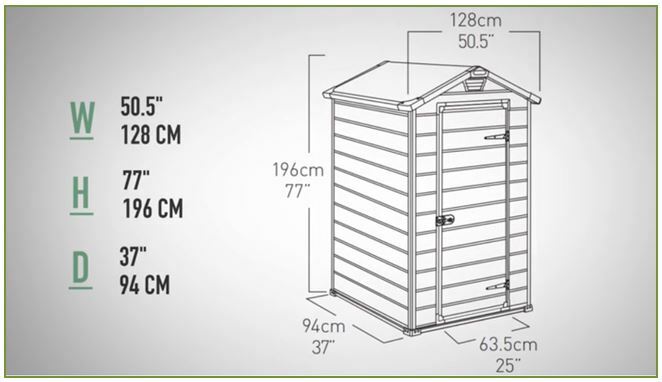 There’s no doubt this is a shed that will fit most budgets and is small so storage options are limited yet if you are restricted for room either on a backyard or very small garden a shed this size can serve you well enabling clearing the home from your outdoor gear and into this unit. The plastic walls are fairly strong and I don’t think it would be possible to cut through them with a knife as they are double skinned sheets joined together with a corrugated internal structure. There are single walled sheds on the market where this maybe an issue but not this one. Security-wise a metal shed will be more secure there’s no doubt but what type of shed is secure enough to prevent the use of bolt cutters? Neither plastic, wood nor metal sheds will prevent the use of bolt cutters gaining entry just like a house windows has no defence against the slightest chip with the corner of a chisel. Alarms are the way forward like a home if you want to protect valuables outside and there are plenty of shed alarms to serve this purpose.